Louisas Grooming Salon – The best grooming care for your pet! Louisa’s Grooming Salon offers grooming, clipping and nail trimming services in Gravesend. Established for almost 20 years, I trained at the London Academy of Grooming and have been in the business ever since. 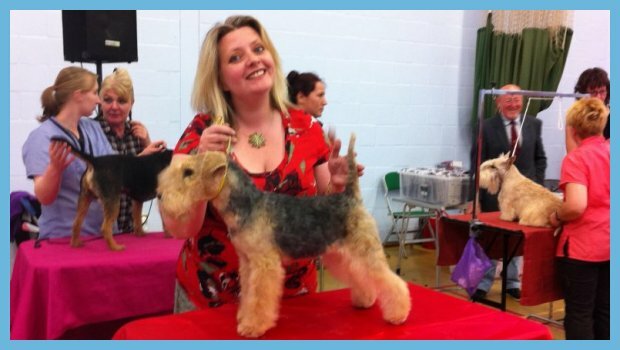 I have won several awards for my dog grooming abilities, including first place in the Experienced Poodle and Terrier classes at the British Grooming Championships. My grooming salon is modern and airy with a relaxing atmosphere for your dog. I welcome all breeds and cross-breeds and will always assess their coat, lifestyle, behaviour and age before starting any grooming or clipping. Your dog’s safety and comfort is of utmost importance, which is why I only use the most up to date grooming technology and dog clippers. I am constantly striving to improve my dog grooming skills and undertake courses as often as possible, including an online Chemistry for Groomers course in which I learned exactly how dog shampoos are made and how they affect the skin and coat. 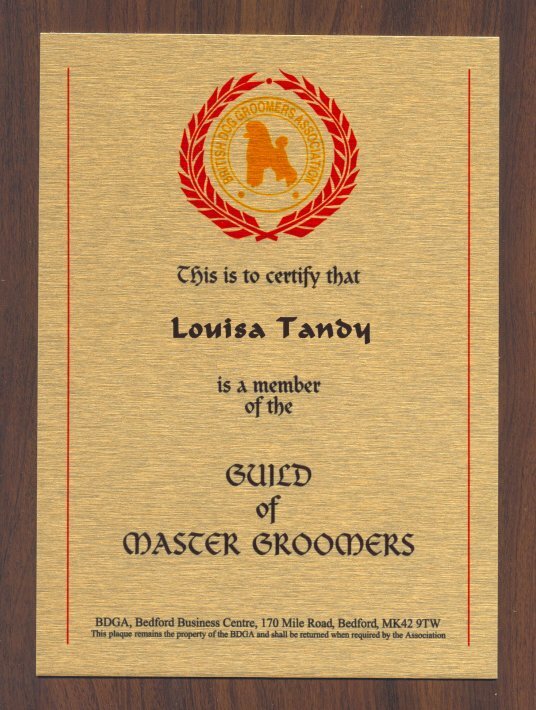 I am also a founding member of the English Groomers Group. 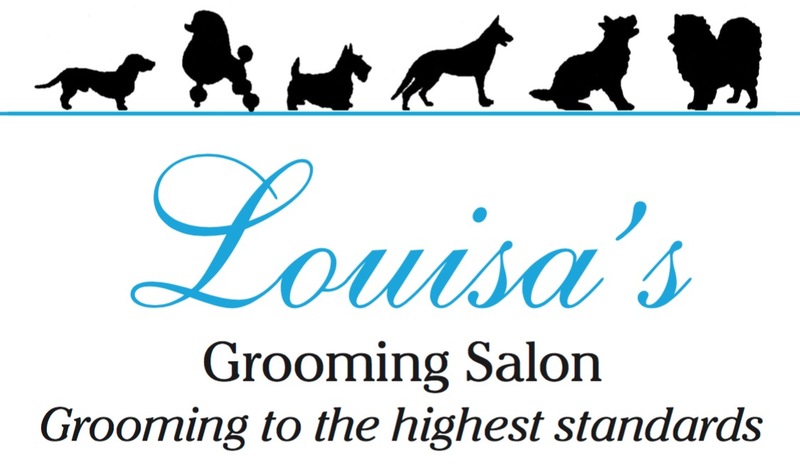 Why visit Louisa’s Grooming Salon? The Salon is located in the historic town of Gravesend, Kent with plenty of shopping in the town center and Bluewater only a 15 minute drive away. There are parking bays outside the salon allowing for easy parking with only a small charge for parking and a short walk to the shops or a single yellow line directly in front of the salon allowing quick drop off. Always exercise you dog before his or her visit to avoid accidents in the salon. 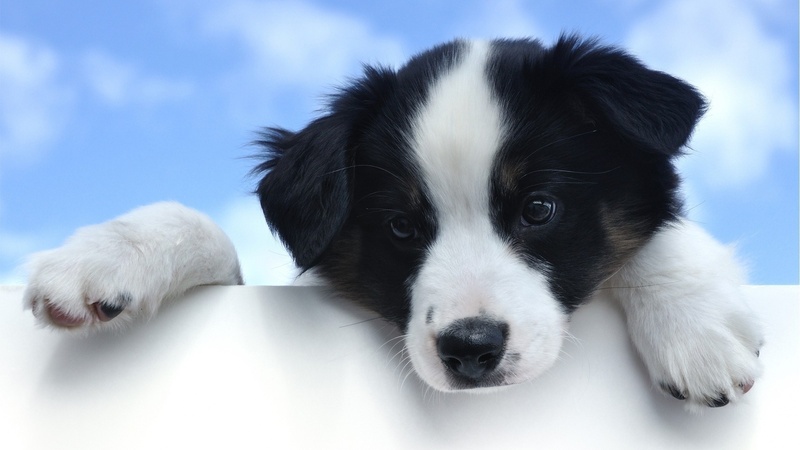 Puppies should attend a socialisation visit as soon as vaccinations are given. Always make sure you arrive on time to drop off and collect your pet. Latecomers may be fined andall appointments that are missed or cancelled without 24 hours notice will be subject to a fee. No Appointment Needed for Nail Trimming. However if you decide to visit us on a Saturday, please ring first to check that we are available. I am a member of the guild of master groomers and hold the higher diploma. For Dog training and home visits contact Goodog with Janet Tandy.